Nope, can’t vote in the primary either. You may have noticed that we spend a lot of time perusing campaign finance reports available online from the Missouri Ethics Commission. We see interesting things. You’d think all these citizens and alliances would be grass rootsie. You’d think. They took in $4,000.00, disbursed $7,500.00 and had a balance at the end of the quarter of $82.50. That’s cutting it close. Aside from giving the same amount to rival republican gubernatorial candidates, nothing particularly remarkable. They took in $4,000.00, disbursed $7,500.00 and had a balance at the end of the quarter of $798.05. Other than the balance, it’s all so familiar. What, nothing for Catherine Hanaway (r)? They took in $4,000.00 and disbursed $5,000.00. They didn’t have enough to drop another $2,500.00 on another candidate. Nothing for Catherine Hanaway (r) again. Not that her campaign has a history of suffering. You’ve just got to love the “sincere” committee names. But, wouldn’t it have been easier just to write one check? Because that’s number one on everyone’s list of pressing issues in Missouri? All that money gone to waste. It’s the same source of funding, different PACs. 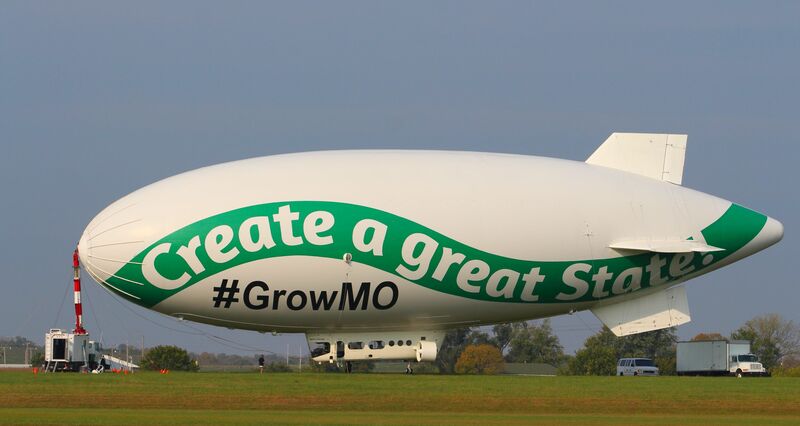 Maybe they could loan them the blimp. For a very, very small number of people this is penny ante. Nope, can’t vote in the primary either. You were expecting anything else? Jessica Podhola (D), a candidate in the 11th Senate District, held a campaign event near the square in Independence, Missouri this evening. Over fifty individuals attended the gathering. 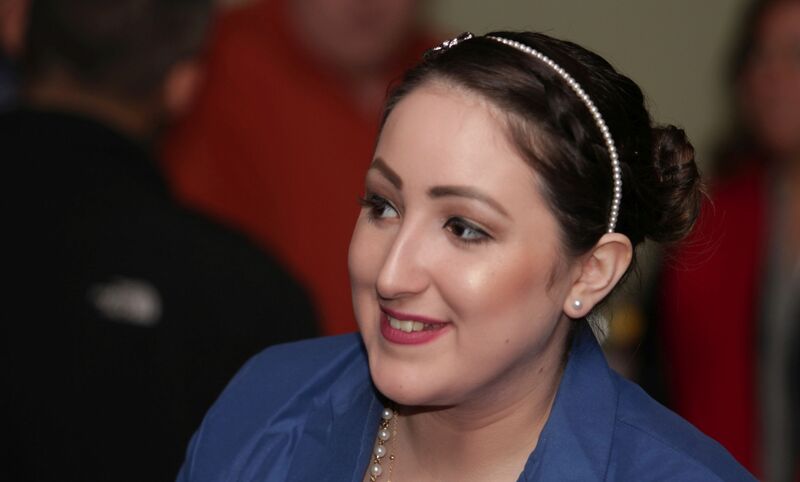 Rachel Gonzalez, a Democratic Party activist, introduced Jessica Podhola. 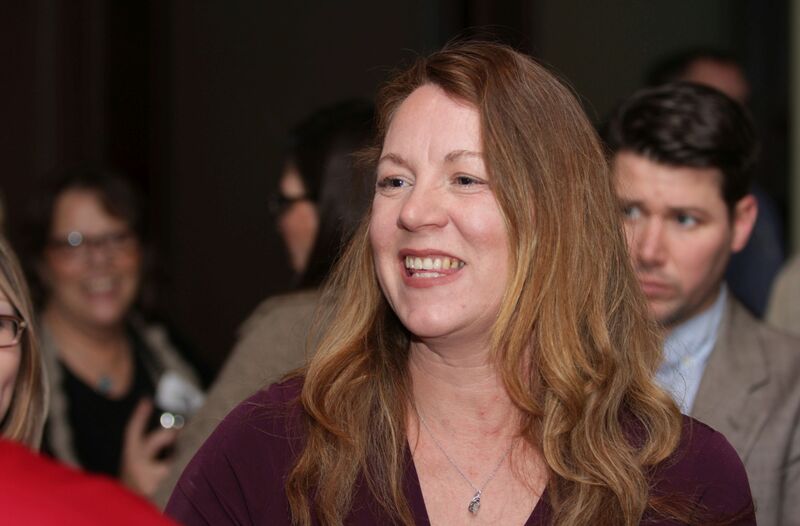 Jessica Podhola (D): …I think we need people in Jefferson City that understand how hard it is to get up at five-thirty in the morning and drop your kids off at day care and then go and paint for eight hours a day, or hang drywall, or go work on iron, or lay pipe. I’m married to a union plumber. The work that we do is so important. You know, I’m not rich. I’m like a lot of the people in my district. I have had to rob Peter to pay Paul. I have had to call the utilities and say, can I pay you in two weeks when I get paid, is that okay? [voice: “Yes ma’am.”] We are the 11th District. I’ve raised my children here, it’s such a special place to call home…. 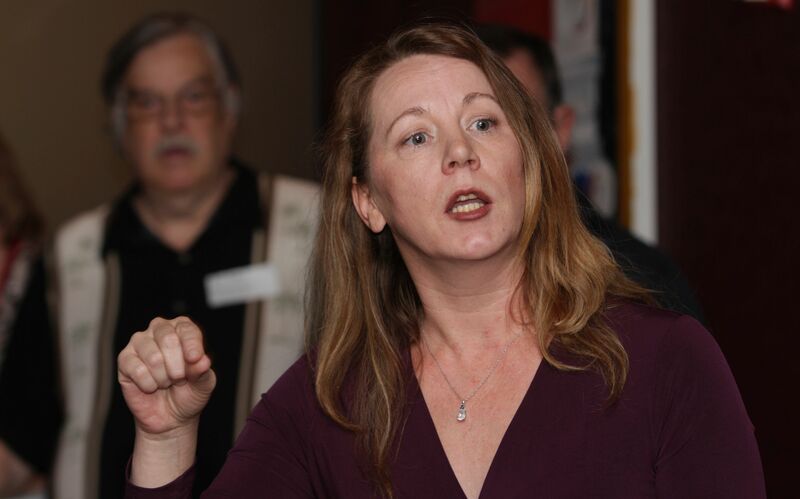 Jessica Podhola (D) speaking at her 11th Senate District campaign event in Independence, Missouri – January 21, 2016. 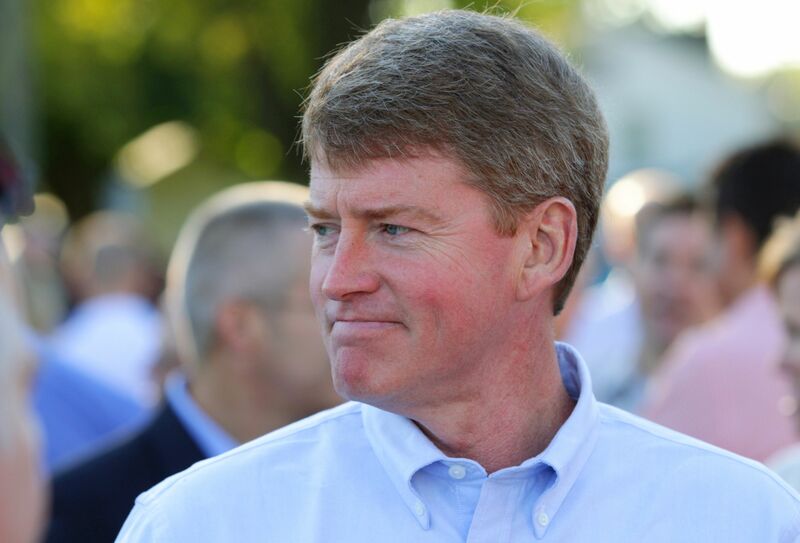 Chris Koster (D) [August 2015 file photo]. Can’t vote in the primary, but, then again, there isn’t one.